Pocket coils were invented at the end of the 19th Century (1800’s) by James Marshall, who began manufacturing them about 1900. 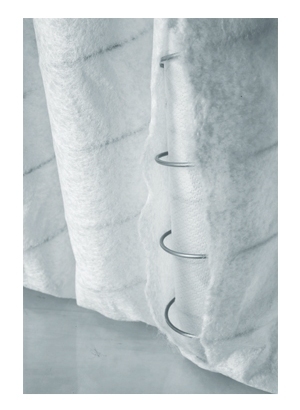 Since then, individually wrapped pocket coils have been adopted by most of the major manufacturers of innerspring mattresses. A more recent development in pocket coils is coil-in-coil technology. The concept is simple: a smaller, firmer coil inside a larger, softer coil. Two of the mattress companies using this technology state that the two coils are made from one wire, and photos of the others show this feature, which is also described in the patent application. 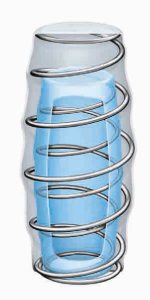 Most of the coil-in-coil springs are straight cylinders, but the Joey Coils used by Simmons Singapore are barrel-shaped (a little narrower at the ends). Before this, manufacturers had used other means to make dual-response springs. The oldest method was the hourglass shape, as in Bonnell coils. The narrower middle with more stretched-out turns compresses more easily for a softer response, while the broader ends with more closely spaced turns is firmer for more support. 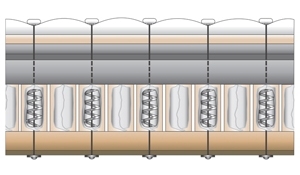 This concept is also exhibited in offset coils. At least one manufacturer tried variable-gauge coils and S-springs, where part of the spring wire is a heavier gauge. Also tried is alternating heavier and lighter coils. 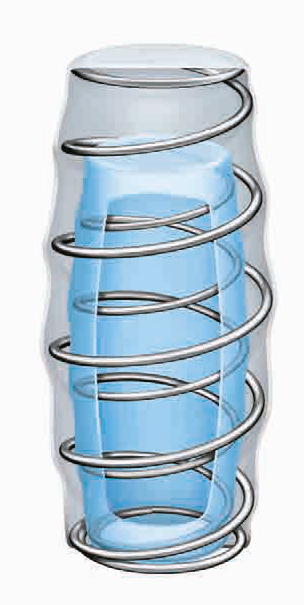 Sometimes called “dual coil technology” (not to be confused with one coil layer atop another), there are a number of trade names for springs using this technology. For instance, Leggett & Platt Components Europe makes Joey Coils. According to A.H. Beard, the Australian mattress company, they are named after the kangaroo and are sometimes called “pouched coils.” The Serta iSeries hybrid mattresses use Duet™ Coils. 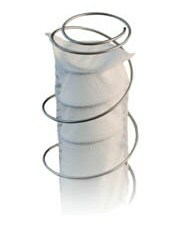 And in Stearns & Foster‘s Estate Collection these are Intellicoil® Encased Coils. Coil-in-coil technology is not as widely used as the parent pocket coils are, mostly due to how new they are—less than a decade. But usage is significant considering who uses it: Stearns & Foster, Serta, Paramount Sleep, and Simmons. These are the companies whose lead is followed by others. 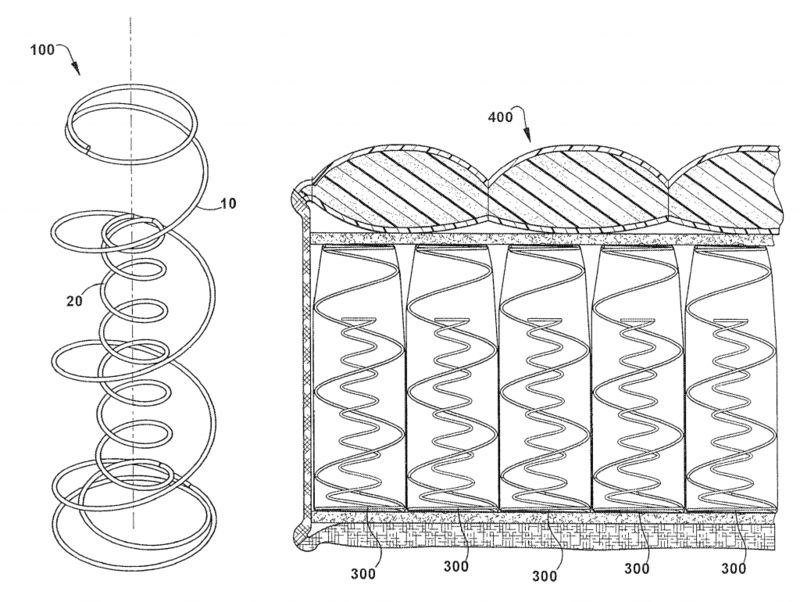 Coil-in-coil technology may also be used in children’s mattresses (called 2-in-1 coils with a graded response), but I do not yet have confirmation of this. Coil-in-coil technology is, for now, used in more expensive mattresses. However, their use in Serta‘s middle-priced iSeries models points to a future of more efficient production with lower costs, resulting in a more widespread presence in mattresses. A key advantage for them is the suitability of the coil-in-coil design for couples of significantly different body sizes. This entry was posted on Saturday, November 29th, 2014 at 10:46 PM and is filed under coils, foam springs, innerspring, innerspring mattress, microcoils, minicoils . You can follow any responses to this entry through the RSS 2.0 feed. You can leave a response, or trackback from your own site.